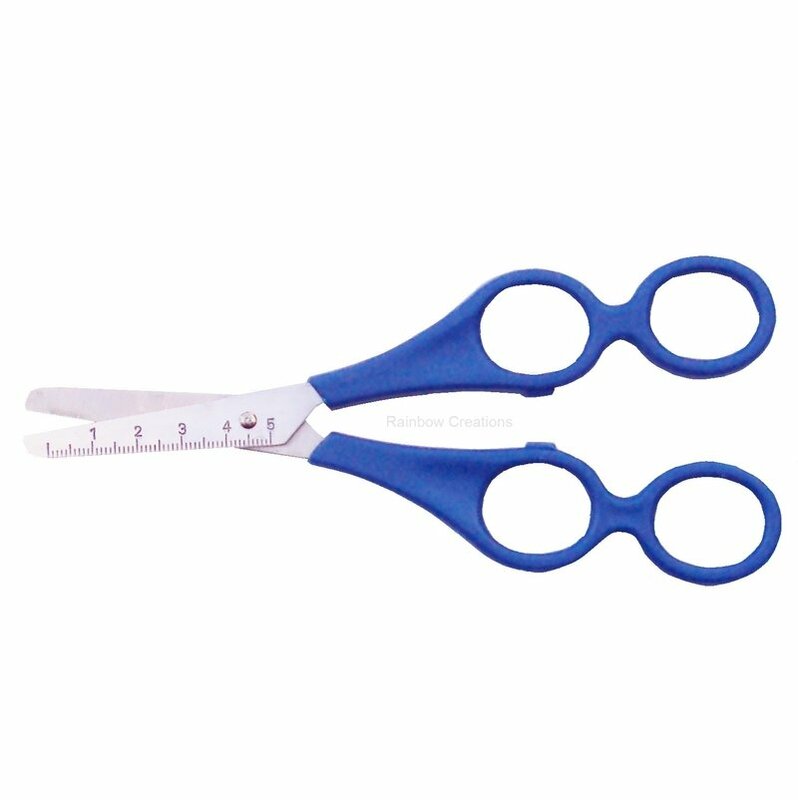 Smooth handles with rounded blades, these child safe scissors are made completely from plastic, yet have the ability to cut paper. 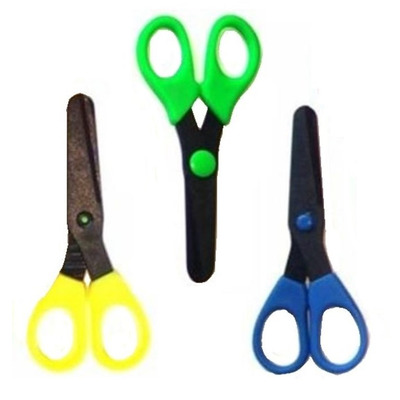 Ideal scissors for toddlers and preschool aged children who enjoy cutting, to cut safely with. 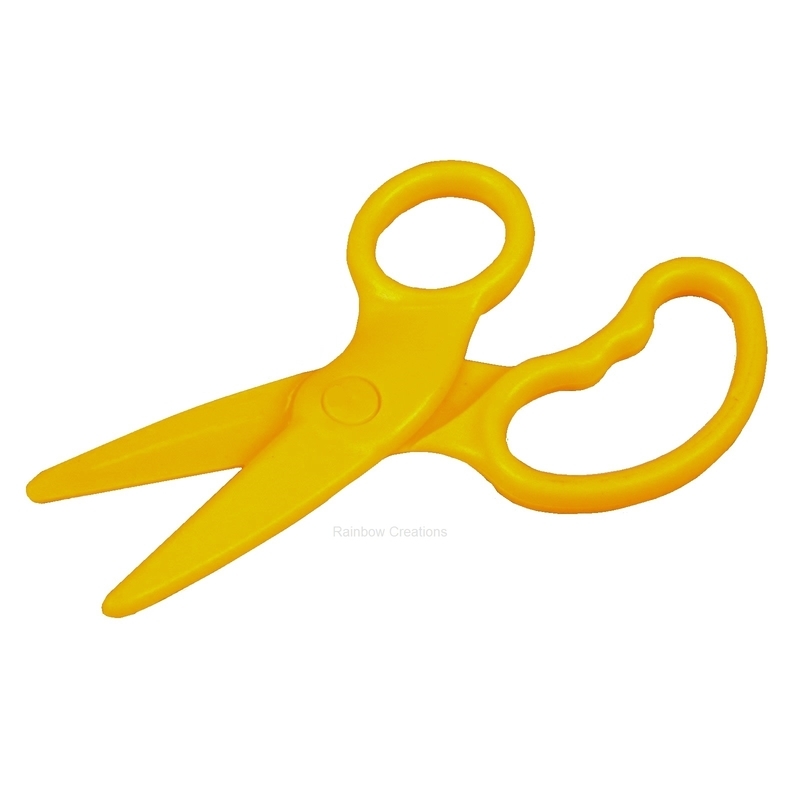 They will only cut paper. 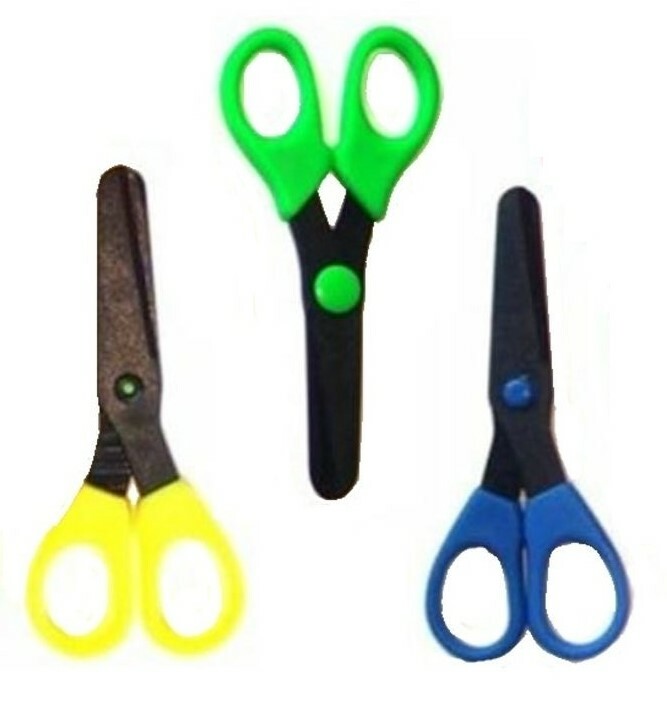 Children can snip strips of paper and progress to cutting shapes and spirals without worrying that they might cut their hair, the curtains or their fingers.